Hectic. That just about sums up my life, and the state of my brain over the last ten days. Family birthdays, friends-who-might-as-well-be-family birthdays, a christening, a Mother’s day and one ridiculous Friday where I would have had to take a selfie whilst running a three-legged race in crazy socks and no make-up to fulfil all my charity obligations in one hit. My head has a nasty tendency to take all these things too seriously. To the point where actually, I just end up blocking them out. Yes, I donated to Sport Relief after watching Davina put the rest of us to shame. Yes, I managed to make birthday dinner and a crumble despite being interrupted no less than four times for toilet related incidents. Yes, I found a Mother’s Day present for my mum. But I’ve spent most of the week with a fuzzy head. Going over and around all the birthdays I’ve completely forgotten to acknowledge, the lovely messages I’ve not replied to and all the charities I’ve entirely ignored. Whilst being eternally grateful that all Wes wanted for his birthday was money. Hooray for husbands who need nail guns. I get myself into a right old state. Life is hard. I know. On Thursday we headed to the Children’s Centre for some space. Where the little ones could play in ball pools and dolls houses, and builders trays filled with ice, water and zoo animals. And I could step back, watch them and breathe. Eventually we ended up in the garden. As always. It was quiet out there. Too cold and miserable for the sensible parents. We had it to ourselves for a while. Until we were joined by another lady and her two year old girl. She’s shy, this lady. I couldn’t even tell you her name. But she smiles. A lot. Sometimes we talk. Usually about how beautiful her daughter is, or how much Joel has grown. Originally, she’s from Afghanistan. She wears a burka over her clothes, no matter how hot it gets. Until Thursday that was all I knew about her. Not any more. The conversation started the same way they always do. We’ve not seen each other for a few months, so she was stunned by Joel’s running about, and I was smitten all over again with her delicious little girl. We talked about how tall the children were getting, and she joked that her nephews always ask her why she’s shrinking. Apparently she has 16 nephews, and 6 nieces. My surprise must have shown on my face because she laughed as she told me that back home, they always have big families. Just in case. Because nobody ever feels safe. After that, it was as if a switch had been flipped. She talked. And talked. Non-stop for at least ten minutes. Here is what I know now. Afghanistan is hell. Her sister lost four of her children in a day because of the war. She herself suffered numerous miscarriages and stillbirths due to the stress and this little girl, born in the safety of England, is the only child that survived. One morning she poured herself a cup of tea, and never got to drink it. Because she was running for her life. To Pakistan. With absolutely nothing. Starting over, eventually getting back to Afghanistan and having to do exactly the same thing all over again a few years later. She can’t stand sirens, even 6 years after leaving the warzone. Her husband has to touch her shoulder every time she hears one, and remind her that they’re safe now. She’s constantly amazed at how quiet our skies are. No bombs. No missiles. No ominous planes. Her parents and brothers are still out there. She calls them every day. And she’s scared. Scared of what might happen to them while she’s so far away. Scared of not being able to do anything. Guilty for being safe. I just stood, listening. Stunned. As this all came out, so matter-of-fact. Not asking for sympathy. Not looking for help. Just telling her story. And what a story it is. It felt so incongruous. 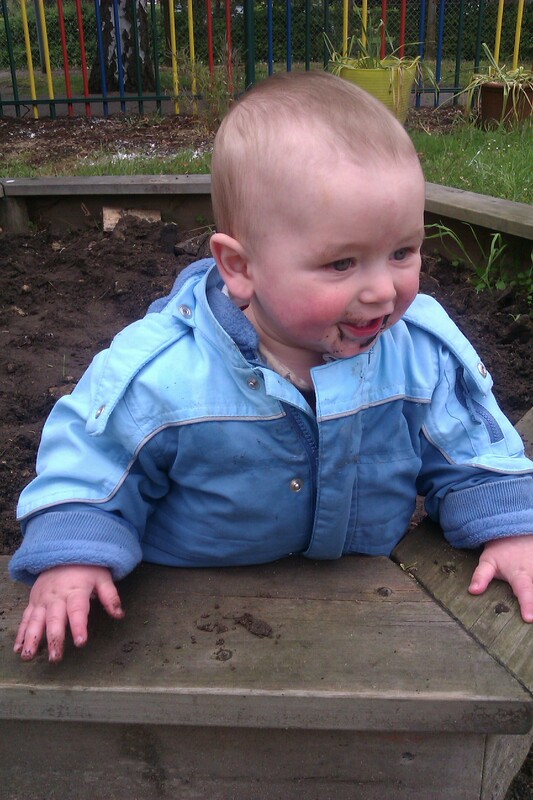 All these terrible stories, spilling out into the garden while Elvie made mud pies. Whilst this beautiful little girl ran around, shouting to Joel, “come baby, come on baby.” Listening to the squeals of delight as they chased each other down the slide. Not a care in the world. Not a plane in the sky. How do you respond to that? In the end, all I could do was tell her that she’s amazing. She smiled, and shook her head. Seriously. There are no words. She’s right. Of course. The quiet ones usually are. There will always be sirens. There will always be planes. But from now on, whenever I hear one, I’ll think of her and remember that I am incredibly blessed. Yes, I’m disorganised. Yes, I’ve forgotten more birthdays this month that I can count. Yes, I’ve buried my head in the sand. But what a ridiculous privilege, to be kept awake at night by missed postal deadlines and insufficient wrapping paper. Rather than fear, loss and bombing raids. I am safe. I am loved. I am free. Life is amazing. And we are very lucky indeed.